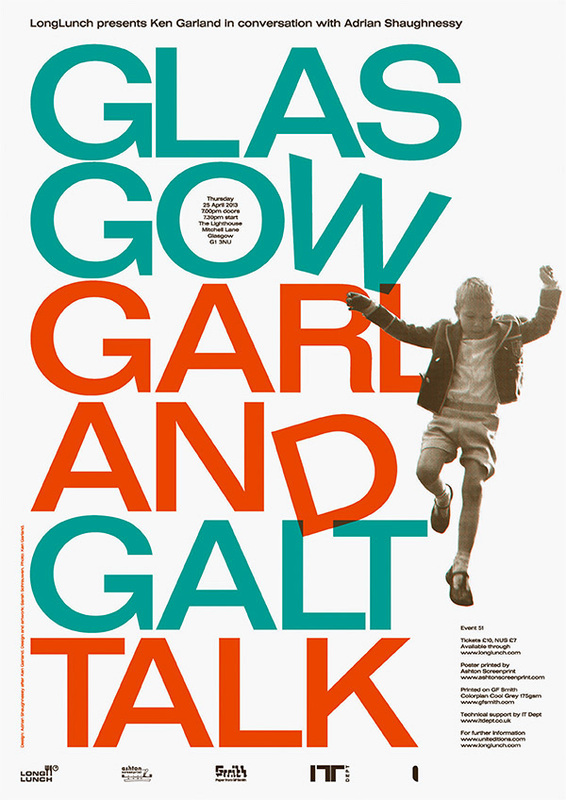 Ken Garland is an iconic figure in British graphic design, one who has been at the very forefront of the industry – designing, taking photos, writing and teaching – for the best part of six decades. 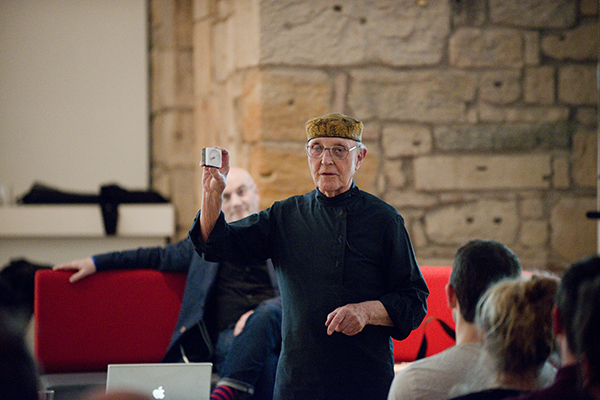 He also authored the much-discussed First Things First Manifesto, originally written in 1964 and updated in 1999, as a reaction to what he saw as and unhealthy and increasing focus on superficial consumerism within design and advertising circles. His remarkable body of work has been compiled and published in his first comprehensive monograph, Structure and Substance, written by Adrian Shaughnessy and published by Unit Editions. 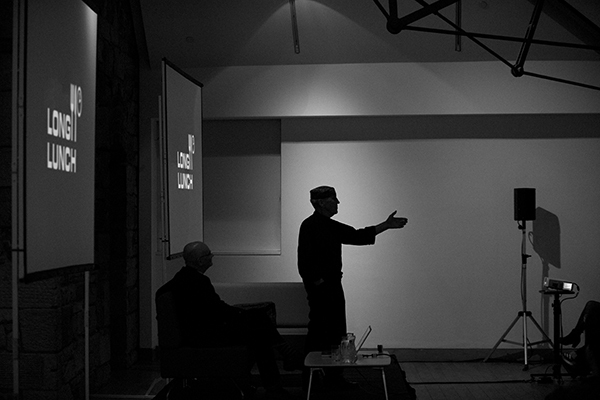 We were delighted to welcome to Glasgow Messrs Garland and Shaughnessy to Glasgow for what was an insightful, thought-provoking and (massively) entertaining evening of design, conversation and drinks. 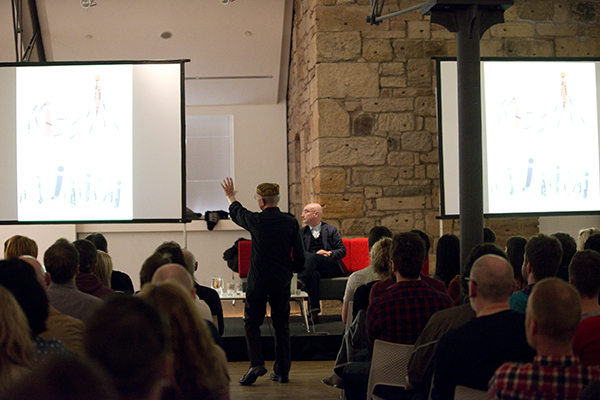 A truly special night which will live long on the memories of all who were lucky enough to join us.